Wilwood has packaged the popular Aluminum Tandem Chamber Master Cylinder with the Combination Proportioning Valve, mounting bracket, fluid tubes and mounting hardware in a kit. 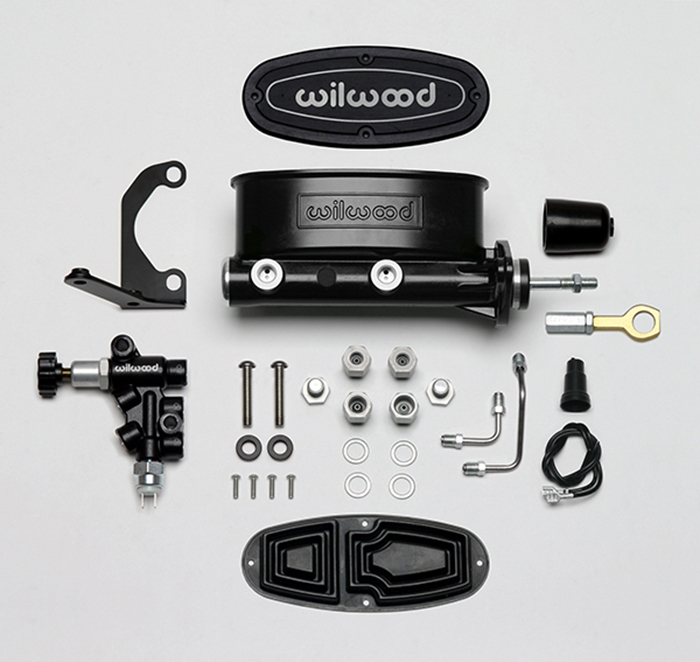 Wilwood's Tandem Master Cylinder represents the latest in refinements in brake pressure actuation and fluid control. The slotted flange mounting and included rod assembly makes it a simple bolt on for Early Ford Mustang and fully is compatible with manual system applications. Mustang Tandem Master cylinders are available in two bores sizes, 7/8”or 15/16”, and three finishes, standard, ball burnished or black E-coat. 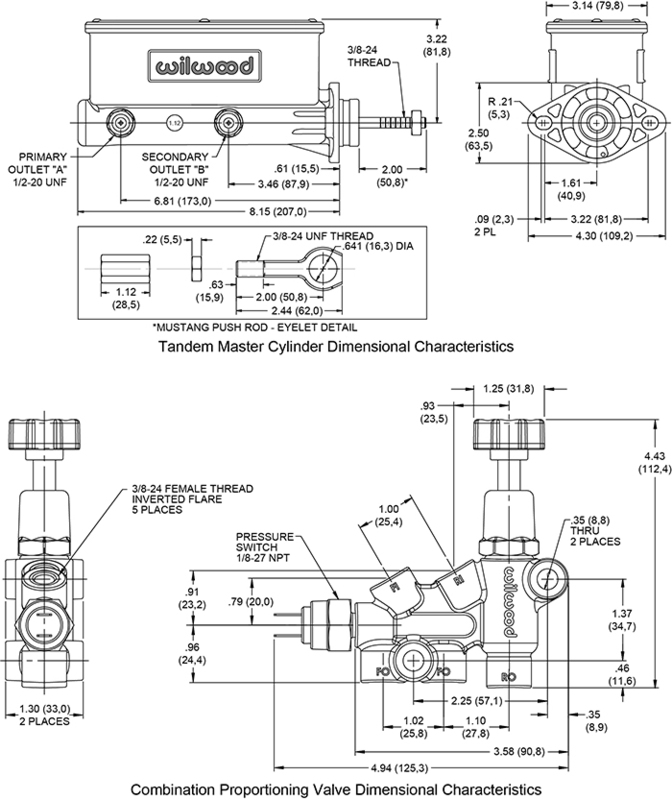 The combination proportioning valve substantially simplifies wiring and brake proportioning adjustments on vehicles with custom brake systems. The combination block maintains full isolation between front and rear fluid circuits and is specifically designed to accompany the Tandem Chamber Master Cylinder. The combo valve and bracket are black E-coated for a performance look and long lasting durability. Stainless steel fluid tubes are precision bent with preinstalled plated steel tube nuts for a simple bolt-on installation between the Combination Proportioning Valve and the Wilwood Tandem Master Cylinder. Stainless steel button head fasteners thread into the bracket for a simple installation and years of durable, rust-free performance. Simply connect the fluid lines, bleed the system, and you're finished.